The third element of true love is the capacity to offer joy. When you know how to generate joy, it nourishes you and nourishes the other person. 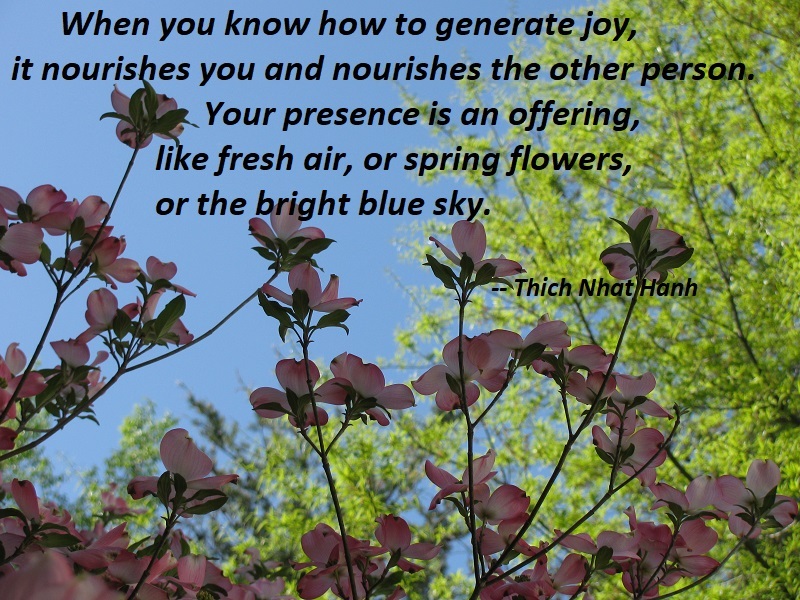 Your presence is an offering, like fresh air, or spring flowers, or the bright blue sky. This entry was posted on Thursday, January 17th, 2019 at 11:09 pm and is filed under Joy, Love. You can follow any responses to this entry through the RSS 2.0 feed. You can leave a response, or trackback from your own site.